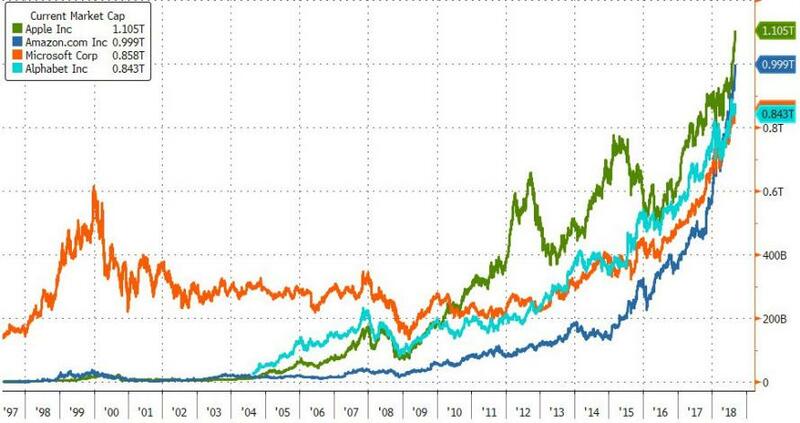 Jeff Bezos was already the richest man in world history, but thanks to the surge in Amazon's share price today - becoming the third company in history to top $1 trillion market capitalization (after Apple and PetroChina) - his net worth is up almost $70 billion in 2018, nearing $170 billion. 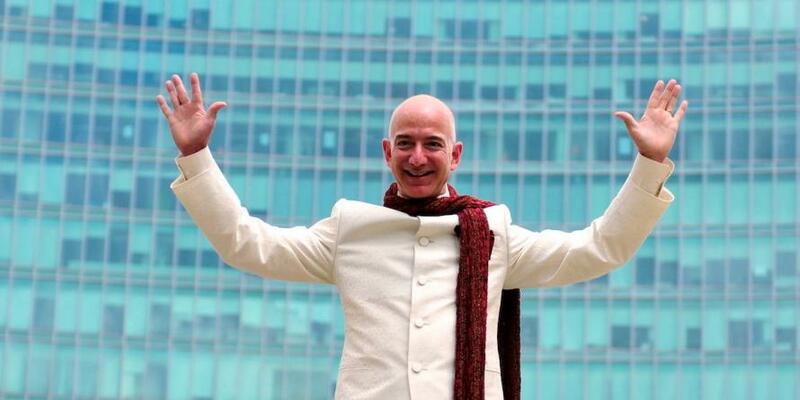 Amazon reached this milestone almost exactly one month after Apple. Next up - Microsoft or Alphabet? 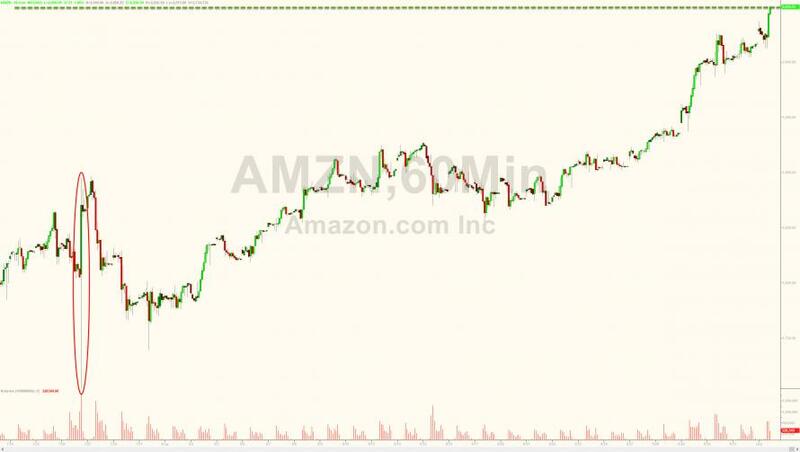 Do not worry though - Amazon is not a bubble! 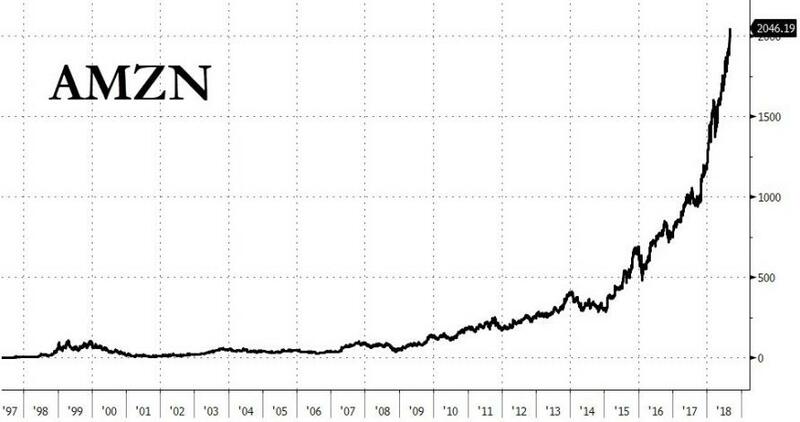 Interestingly, few remember that Apple was not the first company globally to ever hit $1 trillion in market capitalization.